Our business divisions at the Tedcastle Group of companies include Top Oil, Tedcastle Aviation Fuels (TAF) – the “into-plane” fuelling operator at Shannon Airport – and Tedcastles Properties, who look after group property interests in Ireland and the UK. Top Oil has one of the most modern oil terminal and distribution fleet in Ireland. We place a premium on Health and Safety and protection of the environment and we have achieved our position as one of the leading indigenous oil companies on the back of continuous investment in our networks, our technologies and our premises. Top Kelly Fuels is a subsidiary of Tedcastle Holdings, a holding company with a wide range of business interests. Top Kelly Fuels was first registered in Northern Ireland in the 1840’s as John Kelly Ltd. and traded under this name until the mid 1990s when it commenced trading as Kelly Fuels, before taking on the trading name Top Kelly Fuels. 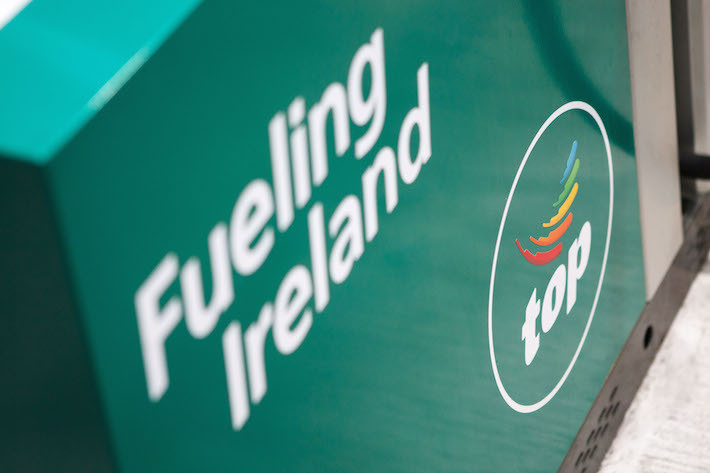 Top Kelly Fuels has been a leading fuel company since the late 1800s, and presently holds the position of being one of the largest fuel wholesalers in Northern Ireland. Top Kelly Fuels has a knowledgeable, dedicated and highly motivated workforce. This, along with the synergies enjoyed by being part of a larger corporate entity, assures our customers of the highest standards of service in the provision of our fuel products.